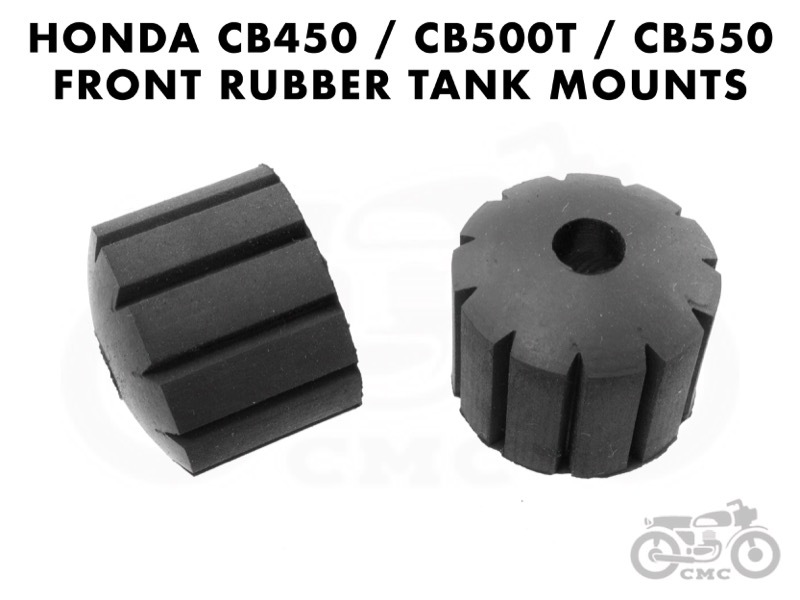 Why You Need This: When it is time to service your Honda CL / CB450; CB550T; CB550 the fuel tank is frequently removed from your bike. More often than not it seems that one or both of the front tank mounts have gone missing. Of course this means the gas tank does not sit correctly on your bike, leaving it crooked or bouncing around on the frame. 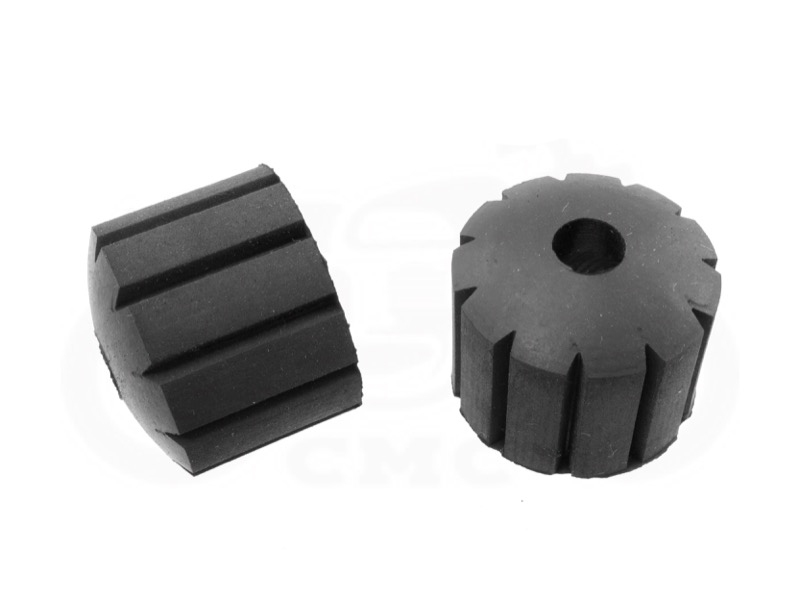 Replacement front tank mounts are available to make things better and keep that precious fuel tank of yours in place. 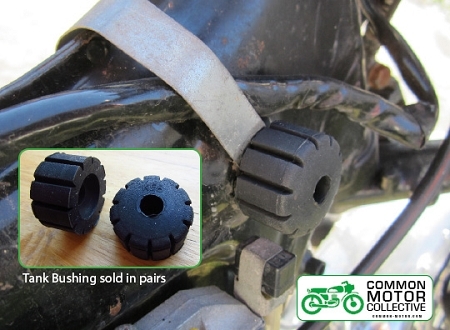 Our Japanese-made front tank mounts are high quality, original style parts and sold in pairs. One pair is needed to properly support the fuel tank. If your rear tank mount is torn or missing replacements are also available. Installation Tip: A little contact cement will help hold the front mounts in place and keep them from falling off and getting lost (again). My mounts were in good shape but picked these up anyway. Tank is noticeably more secure. I mean it's 6 bucks. That's a tank a gas, just get them, you'll spend that 6 bucks on gas when your old mounts cause your tank to fall off anyway. 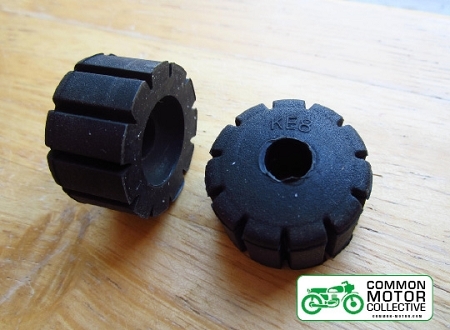 I installed these on a 74 CL450. Arrived fast after ordering, perfect match to the originals. Really tightened up the tank. Great product.